Today’s society is all about value for money and up sizing so the size of our meals has tended to become a lot larger than what we really need. There are some food types that we should be consuming a minimum of per day to ensure that we get enough nutrients for healthy living. There are also other food types that we should avoid or limit as they can cause weight gain or other health problems. I talk about some of those here. Calorie counting is a well known method of controlling the amount of food we eat but can get a bit tedious with having to weigh out our food. So, without going to the extent of measuring all of our food we can at least be more mindful of our portion sizes so that we can at least be pretty close. Quite often people comment that they eat healthy foods and keep up with the exercise but they’re still not achieving the results that they want in times of weight loss! If this is the case one area that may be letting them down is the portion sizes. 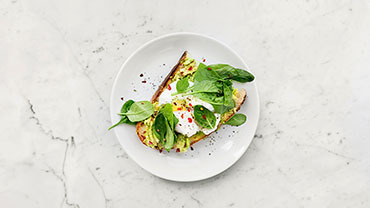 When it comes to healthy eating, knowing what portions are sufficient can be half the battle while the other half is getting in touch with your hunger signals. As a basic guide to correct portions, whenever you prepare a plate of food aim to have half of that plate full of vegetables, a quarter of your plate being good quality carbohydrates and a quarter of your plate should be a lean protein. Your vegetables should contain heaps of variety and show an array of different colours! Good quality carbohydrates include whole grain pasta, brown rice, couscous, quinoa etc. The lean proteins include lean meat, poultry, eggs or legumes. Don’t forget to include some healthy fats such as nuts, avocado or healthy oils in your cooking and salad dressing. Ideal snacks for in between meals include fruit, vegetable sticks, yoghurt, a handful of nuts or whole-grain crackers with a toppings such as hummus, tuna, or salsa. 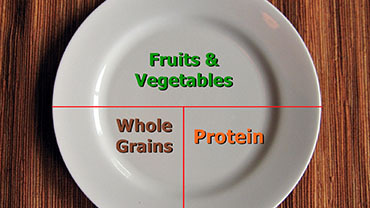 If you find that you’re having trouble getting the right portion sizes there are a number of portion control plates available on the market. These are plates that contain guides on them so that you don’t overfill your plate.